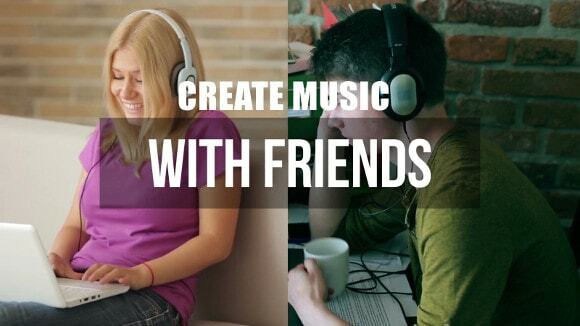 If you are a student and want to make your own song free, you can go for some of the services provided by online apps. The online apps are aimed to assist you in creating a music mix of your choice. You can also easily share these tracks with music production companies to showcase your talent. Here are some of the unique services provided by online music making apps which can be of assistance to you. You can go to different libraries offered by these applications and select the library you like. Each library will have some instrumental music. You can choose the genres of music where you wish to build your sound. Once you have selected the genre, you can also alter the pitch, instruments and rhythms. Sometimes students are interested in experimenting with drum rhythms but it may not be possible since it can create a lot of noise. For this, there are some online applications which can be an easier method to work with. These applications can easily work on the sounds of the drum set and rhythms in the virtual drum set. They can also create the tempo in the drum tracks on the basis of the requirements as well as customize the frequency of the drum or the cymbal. These applications can also provide you the privilege to experiment in creating your own unique music with various instrumental sounds, sound loops and choruses. You can look for the one that pleases you most and then click on “+” button to add the song to your mix. You can then add these sounds in to a sound track of your choice and continue adding songs till you have completed the project. Once you are satisfied with your creation, you can then download the sounds or even send it directly to your tab or phone. You can easily record your voice for the track with these applications and import an audio from your computer by clicking on “Record” icon. Sometimes when you want to play an instrument and record it, you can easily do that as well. You can also alter the quality and tempo of this sound as well as of any sound you might want to record. When you wish to play the sound for your track, you have to only click on the timeline of the sound and you will be able to hear it. You can also create music loops and samples and add them in your blogs for others to view. Some applications also offer you the facility to choose when and how often you want to play a certain sound. You can also provide tracks where you could mix music clips as well as sound effects. Considering so many facilities provided by these applications, it is now easier than ever to become a singing star. Author: Marko Maric lives in Serbia, Belgrade. He is a songwriter, singer, guitar player and a composer. He had formed a band called “Flashback” in 2011. He composes music online including instrumentals and believes that you can make your own song free. Next Next post: Have fun making music online!